From Hasbro Toy Group. Making a third appearance into the Transformers Masterpiece line is the brave leader of the Autobots, Optimus Prime. This version of Optimus will feature a more cartoon accurate styling. 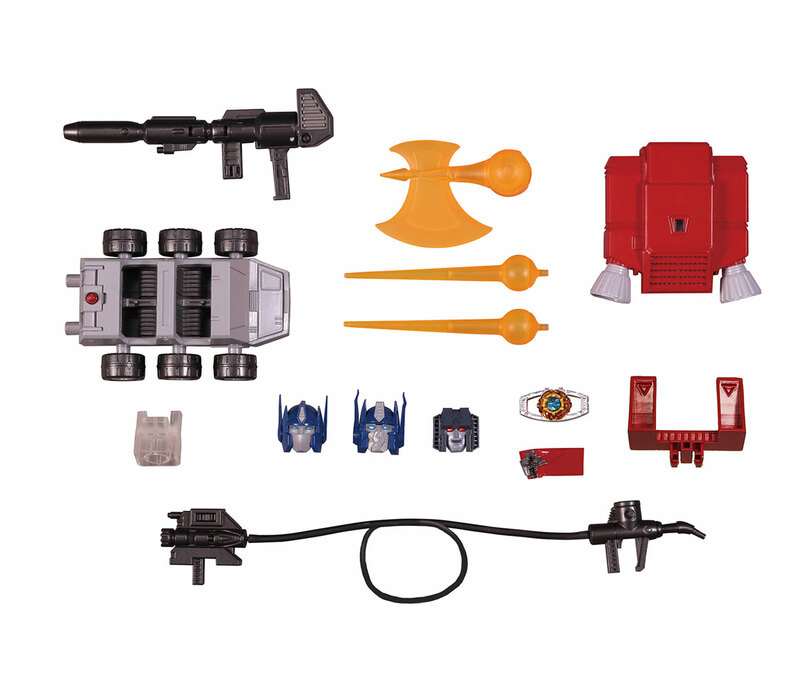 Set includes: Optimus' Trailer, Rifle, Energy axe, Jet pack, Rover (Rollar), 2 Energy spikes, 3 Heads, Matrix of Leadership, Starscream's shoulder pieces, Battle damaged piece, and an Energon pump with hose and nozzle.